Uphill Athlete by Steve House and Scott Johnston Uphill Athlete LLC. What originally inspired us to write Training for the New Alpinism, and what inspires us to continue to share the things we’ve discovered through Uphillatlete.com, is the information void when it comes to specialized training for endurance mountain sports. We have successfully demonstrated a more systematic approach, using proven principles, to help you improve both your chances of achieving your goals, and your long-term fitness and safety in whatever mountain sport you are practicing. In addition to being an accomplished mountain guide, Steve is also a world-class climber. Steve’s most famous ascent may be the Central Pillar of the Rupal Face with Vince Anderson but he has compiled an impressive list of first ascents and new routes in Alaska, the Canadian Rockies, the Alps, and the Karakoram. Reinhold Messner has called him “The best high-altitude climber in the world.” Steve is an athlete-ambassador for Patagonia, Grivel, and La Sportiva. Steve co-authored the highly acclaimed, best-selling, Patagonia published book; Training for the New Alpinism with his former coach Uphillathlete business partner, Scott Johnston. With a lifetime spent as a high level athlete as a swimmer, Cross Country skier and alpine climber coupled with a coaching career that produced 4 Olympians as well as coaching Steve House to many of his most famous climbing achievements, Scott is uniquely positioned as a coach. With co-author Steve House, Scott’s book Training for the New Alpinism has helped reshape the way an entire generation of climbers approach their sport. Due to this ground breaking book those same principles are now finding their way into the non-climbing mountain sports of running and ski mountaineering. Success. 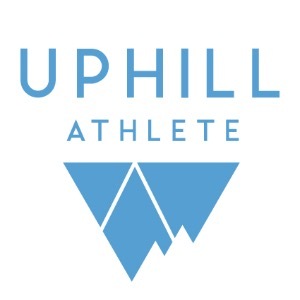 Coach Uphill Athlete by Steve House and Scott Johnston has been notified of your message. Steve House's 8 Week Advanced Rock-Alpinist Training Plan.